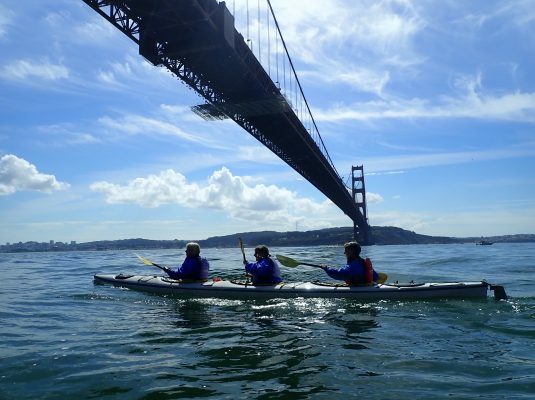 This trip is similar to our Paddle the Gate kayak trip, but it starts at Sea Trek’s location at the Bay Model and doesn’t go past the bridge. 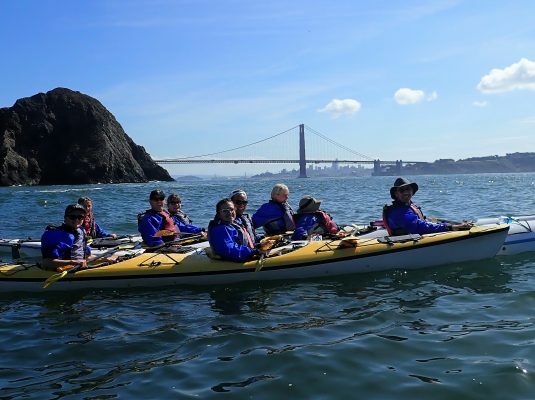 Starting with a thorough orientation and instruction session, we launch in Sausalito and head toward the bridge, enjoying amazing views of Sausalito’s shoreline, Angel Island, Alcatraz and the S.F. skyline. The winds and currents will determine how close we get to the bridge. 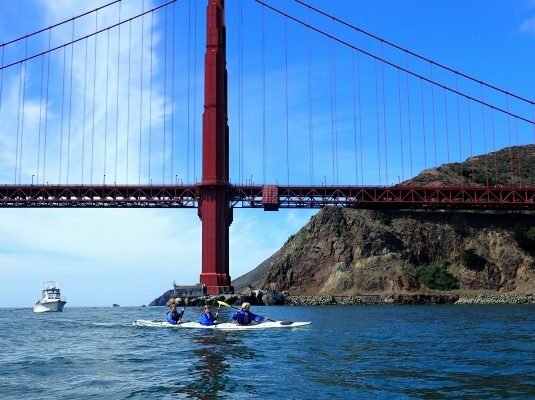 This is an appropriate trip for beginning kayakers who are physically active. Times for this trip vary. Check our online reservations or call (415) 332-8494 to find out what they are.